​Dr. Susan O’Neill is Professor and Associate Dean, Academic and Research in the Faculty of Education at Simon Fraser University. 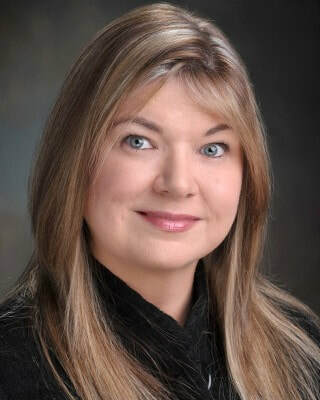 She is Director of MODAL Research Group (Multimodal/Music Opportunities, Diversity and Learning) and President-Elect of the International Society for Music Education. Susan has been awarded visiting fellowships at the University of Michigan, USA (2001-2003), University of Melbourne, Australia (2012), and Trinity College Dublin, Ireland (2015). She has published widely in the fields of music psychology and music education, including contributions to 15 books published by Oxford University Press. She edited two books for the Canadian Music Educators’ Association, Personhood and Music Learning (2012) and Music and Media Infused Lives (2014). Her recent co-authored book Why Multimodal Literacy Matters (2016) is on intergenerational multimodal curricula and is published by Sense Publications. She has been awarded major grants for international collaborative research and developed Music Learning in Action and Unity Through Music advocacy and intercultural programs in Brazil and Canada. Her current research includes a cross-Canada large survey and interview study of young people’s arts and digital media engagement and the social impact of music on young people’s lives. ​Dr. O’Neill’s keynote “Disrupting Boundaries in Popular Music Education” will explore how contemporary approaches to new materiality and relational theories provide a lens for disrupting boundaries around how we value or think about popular music education.